The Soufflé was the absolute highlight of our meal and certainly kept us in awe as we dug in. 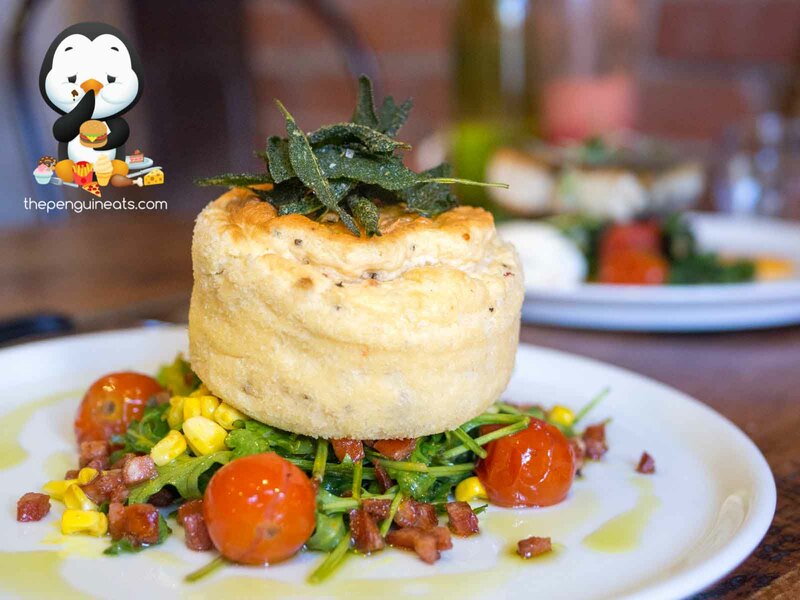 Stunningly presented, the light yet fluffy soufflé was fresh out of the oven and sat on top of a bed of fresh, crispy rocket leaves, crunchy, juicy corn and tasty cubes of chorizo. The soufflé itself was beautifully spongy and exhibited an amazing consistency, all the while with a lovely eggy flavour permeating throughout. Contrasted by the crisp sage, this dish certainly impressed in more ways than one. We also enjoyed the Barramundi. 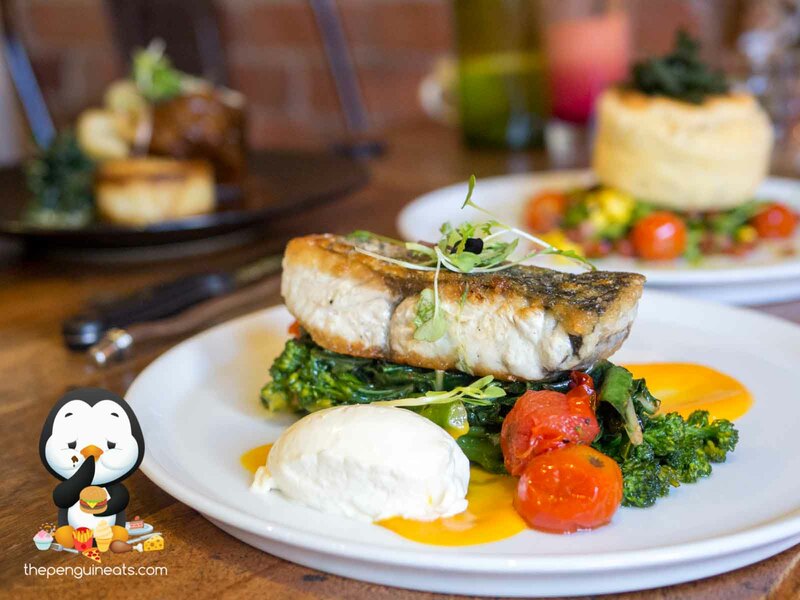 Pan fried and perched precariously on top a heap of buttered greens, the skin of the barramundi was amazingly crisp. This made way for a succulent and juicy inner, perfectly cooked without so much as a hint of toughness. The sweet potato purée provided a lovely hint of sweetness, well accompanied by squirts of juicy goodness from the roasted cherry tomatoes. Our Beef Cheek didn’t disappoint either, though this was undeniably the weakest dish of the three. The beef cheek was certainly braised just right, falling apart with the push of a fork and revealing an incredibly soft inner. The jus surrounding it exhibited a hint of red wine, while the buttery sautéed greens added an unexpected richness to the dish. Unfortunately we found that while the potato gratin carried a lovely potato sensation, the use of seasoning would’ve definitely assisted in highlighting its flavour. There’s no question the Flat White was a huge letdown. 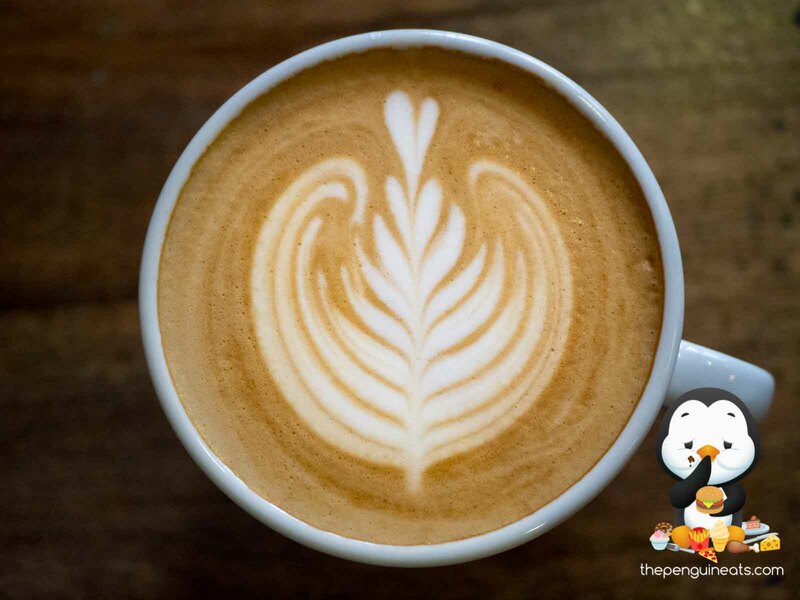 Despite the elegant latte art, the coffee was weak and lacked flavour and aroma. It honestly felt much like a cup of hot, watered down milk, so much so we left the cup unfinished. 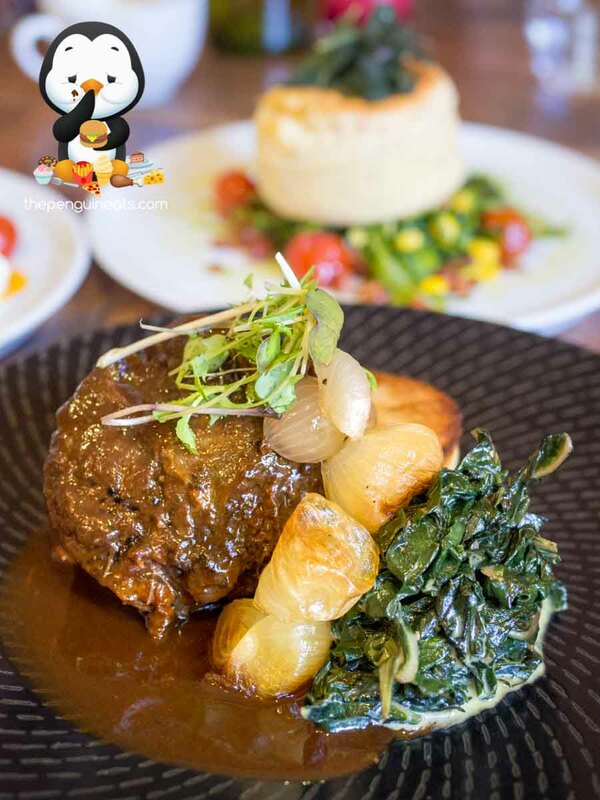 With clear emphasis on fresh, farm to table ethos, The Providore Swan Bay Farm certainly highlights the importance of quality produce in creating a delicious meal. Our mains were generally well-executed and their signature soufflé was nothing short of astounding. It’s too bad their coffee didn’t quite live up to the Melbournian standard we’ve become so accustomed to. We would most definitely be back for the food! 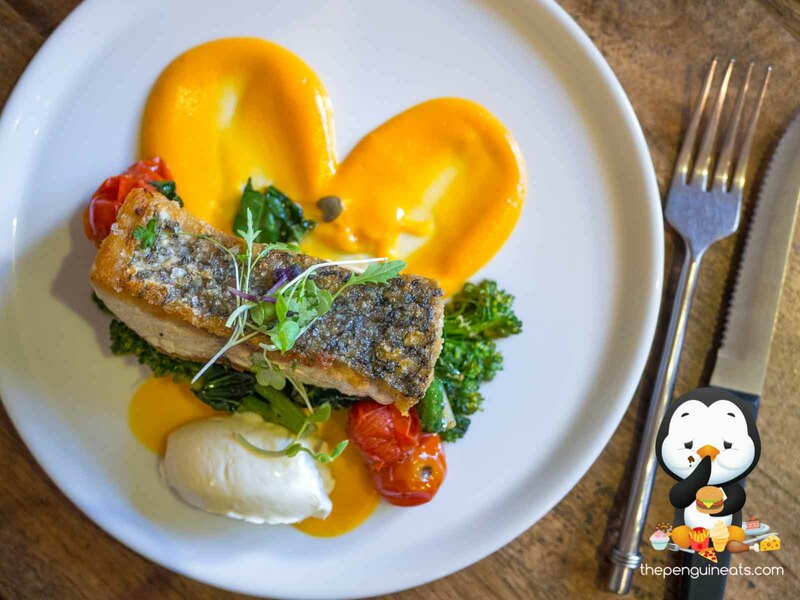 Penguineats was invited to dine by The Providore Swan Bay Farm.